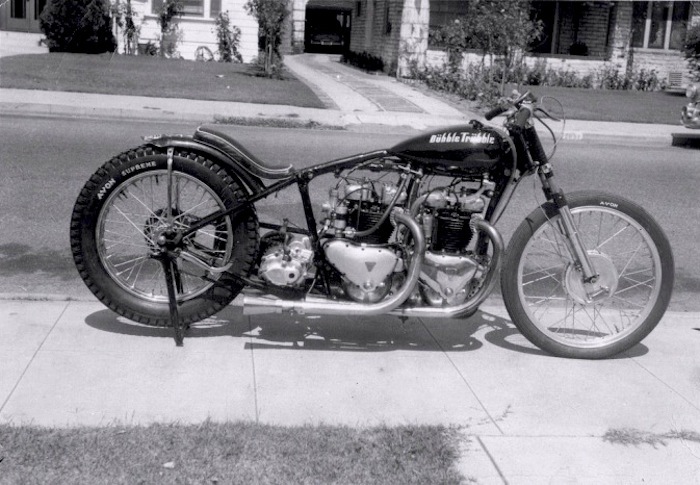 The Castrol Rocket –Photo courtesy of Triumph North America. 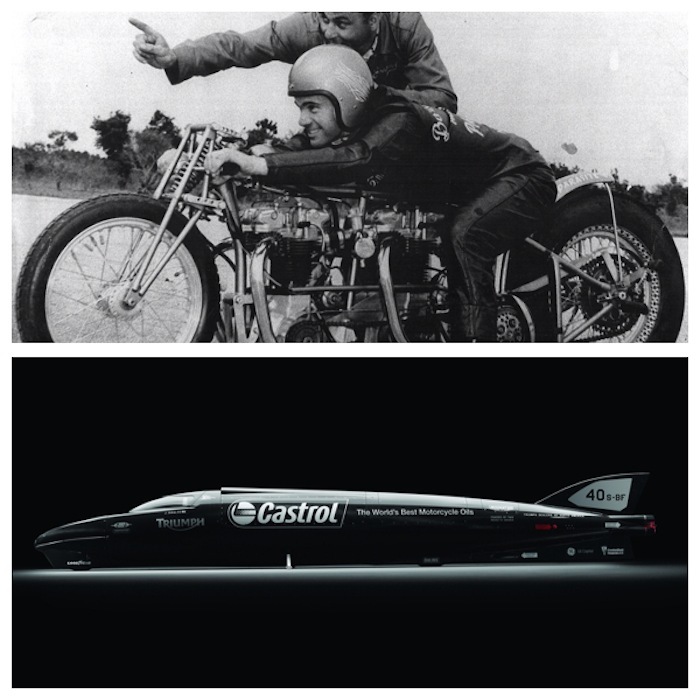 The Castrol Rocket is unique in that it’s a 1,000-horsepower motorcycle built like a fighter jet. 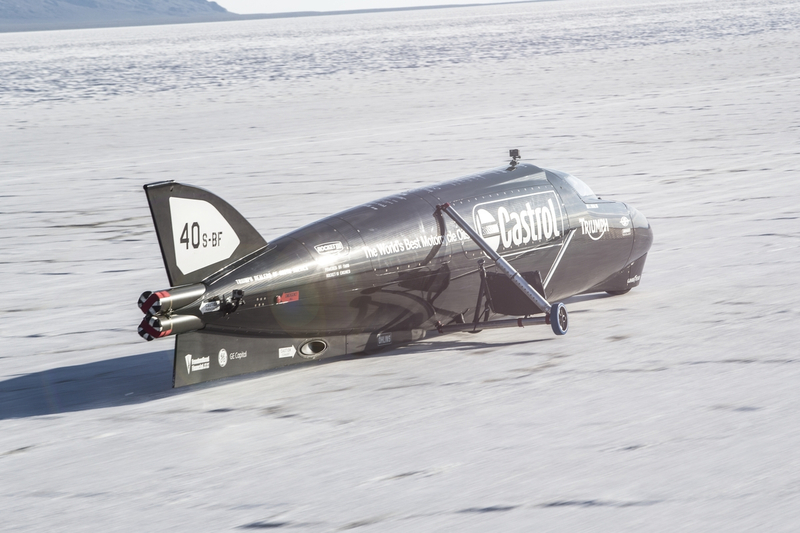 The goal is an eventual 400-mph-plus record-breaking run. 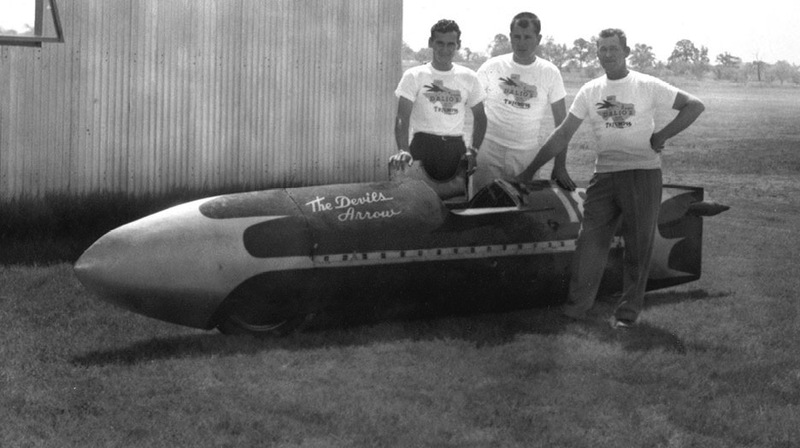 The current American Motorcyclist Association (AMA) and Fédération Internationale de Motocyclisme (FIM) motorcycle land speed record is 376.156 mph, set in 2010, by Rocky Robinson with the Ack Attack streamliner. 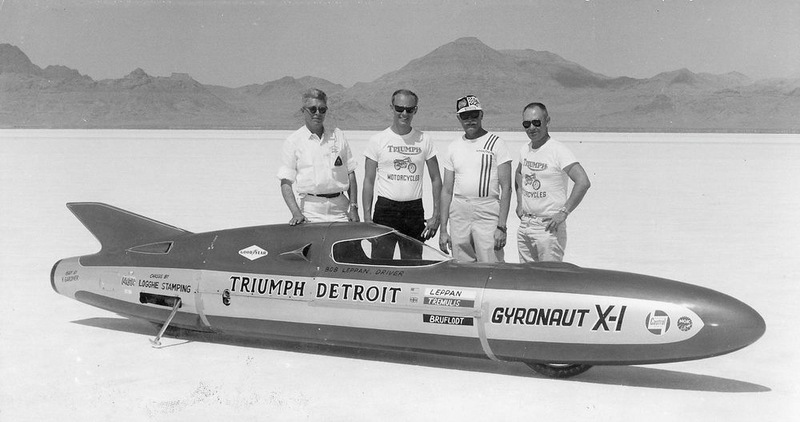 This entry was posted in American, British, Castrol Rocket, culture, design, history, Icons, motorcycle, sports, vintage and tagged Bonneville Salt Flats, Castrol Rocket, history, land speed records, photography, Triumph motorcycles. Bookmark the permalink. Yup ! When one won’t do … make it two 😉 Triumph got that one down early in the game . 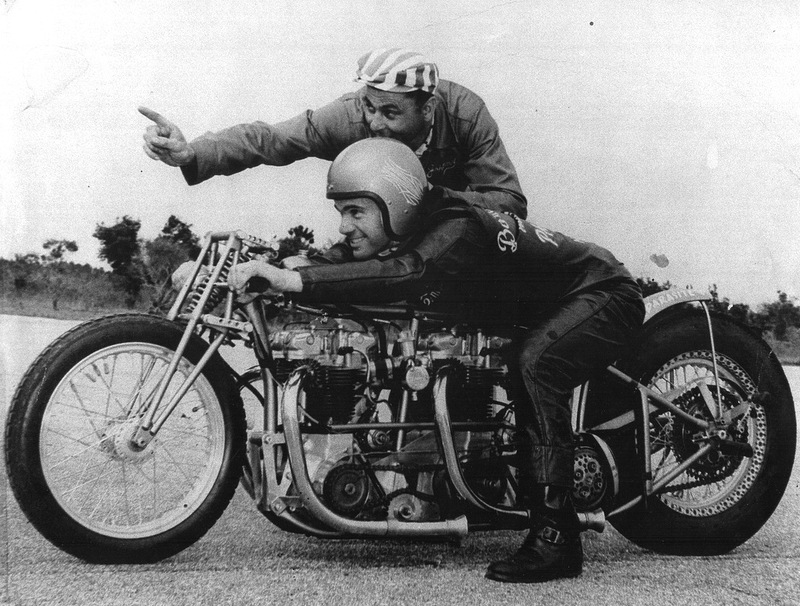 Fingers crossed for the Castrol Rocket ! Very cool JP. I interviewed Jason DiSalvo for my podcast at Barber Motorsports Park earlier this year at the AMA races and then again at the Barber Vintage Festival a few weeks ago. Both times part of our discussions centered around his recent and upcoming efforts at Bonneville. It’s easy to see that Jason has really been bitten by the ‘salt bug’. Thanks for another great post. Jason seems like a cool guy from what I’ve read on him. Lucky to have met him in the flesh, you are. That is insanity…interesting piece though!!! Guy, it’s an honor and I hope Triumph gets the record back!